WalkGreen offers premium quality exterior FSC Certified Hardwood Products - Decking & Siding - from responsibly managed sources in the Amazon. We work closely with Architects, Designers, Builders and Specialty Retailers towards successful and satisfactory project completion. WalkGreen™ is the largest holder of 100% Pure FSC Decking & Siding inventory in North America. Our extensive inventory and warehousing allows us to ship throughout the United States on a volume or special order basis. In addition, our milling capabilities can further expand your projects with siding profiles, pattern stock, side grooves, and T&G. Inline Design is a design and fabrication firm specializing in complete end-to-end stainless steel railing and handrail solutions. 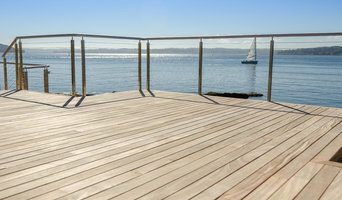 We offer pre-fabricated ready to install systems as well as custom railing systems. Custom fabricated systems are one of a kind designs tailored specifically for each customers project. We offer these design and custom fabrication services at no additional cost. Anyone is welcome to contact us. We work with interior designers, architects, contractors and DIY customers. Our experienced design, fabrication and customer support teams will be glad to assist you answer any product or design questions that you may have. To get a quote on your next project send us your drawings in any format that suits you (AutoCad, SketchUp, hand drawings, etc.). Quantum is a throwback to a time when people "crafted" products and demonstrated a vested interest in their work. From design innovation to fabrication, Quantum takes an amazingly interactive approach to producing some of the best windows and doors in the Northern Hemisphere. At Quantum, there really is no standard size, shape or configuration. Every project has its own focus with regards to lumber, hardware, clad, glass, etc. There is no up charge for what other companies would regard as "custom" and no compromise to what you are able to design. kitchen and bathroom supplies: stained and painted cabinets, natural stones and quartz countertop, laminate and hardwood flooring, granite, marble, travertin and ceramic tiles, stainless and ceramic sinks, bathtub and shower surrounds, professional installation services serving the whole Washington state. Graysen Woods both designs and manufactures structures to help you create the outdoor kitchen and living space of your dreams! 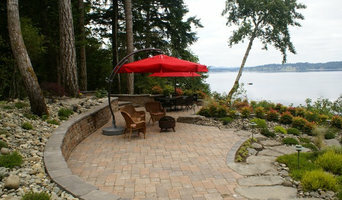 We help to design and draw your fireplace, BBQ island, firepit and other structures to your specific needs and desires. Using premium materials, we manufacture the frames by welding together the aluminum frame and finish it off with our durable, weather resistant sheathing. The structures are then delivered to your location, ready to be installed and finished with stone, granite and other materials to compliment the rest of your home. Our Designs are built to last a lifetime. With sheathing that is resistant to fire, mold & mildew, insects, freeze & thaw and the lightweight, strong square tubed aluminum that wont twist and bend - Graysen Woods structures allow you to bring your dreams to reality while saving you time and money! Let us help you bring the indoors, out! For over 115 years, customers across the Pacific Northwest have trusted Mutual Materials. We are the award-winning and family-owned local company that architects, builders, landscape designers and homeowners trust for masonry and hardscape. Our brick masonry and hardscape products are ultimately used to create family homes, community service buildings, relaxing public landscapes and private outdoor living areas. Heaters Made in the USA since 1958. Today’s heating industry is about product solutions. It’s about how you can use our products to meet the various demands of each unique customer application. King Electrical Mfg. Co. is the premier North American manufacture of smart heating solutions including Industrial, Commercial and Residential Electric Heaters and Thermostats, Hydronic Heaters, Electric Heating Cables and Accessories– making us a one-stop solutions provider. We build smarter, more reliable and efficient heating products support by exceptional service. Jerry Iselin, Owner and President of Metal Roof Specialties, Inc. founded the company in 1992. In the late nineties Metal Roof Specialties expanded it’s contracting business and also became a supplier of metal roofing and siding products. In 2004 Jerry’s daughter Haley joined the business, and this father daughter team have been working together ever since, and loving every minute of it! In 2011 the company began performing inspections on commercial metal roofing projects for one of the largest west coast manufacturers in addition to their contracting and material supply services. In 2013 the business redirected its concentration specifically to wholesale/retail supply and training programs, which is where they remain. As the metal roofing industry and markets have grown, Metal Roof Specialties, Inc. has continued to adjust and provide the most valuable solution appropriate. They are proud to have created this niche, by providing unmatched experience and expertise to all consumers interested in metal. Both Jerry and Haley not only work full time in the business, but are passionate about metal roofing, siding, interiors, fencing, gutters…..the proof is on and in their own homes, just ask them. 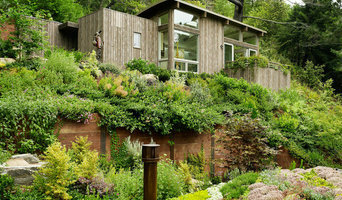 We offer environmentally friendly building products. Flooring, countertops, cabinetry, lumber, insulation, tile, finishes, etc..
Tile showroom with in-store design services, sample checkout, and order assistance. NO LONGER offering installation services. Beautiful. Practical. Seattle Tile. Puget Sound’s Premier Supplier of Natural Stone Products Family owned and operated since 1932, Terrazzo & Stone Supply Co. provides the highest quality natural stone, and landscape and concrete products at very competitive prices. With a commitment to customer service, industry knowledge, and timely deliveries, we strive for your satisfaction in every aspect of our business. All are welcome in our yard: home gardeners, stone masons, landscapers, roof deck installers, architects and designers, etc. Y claro que si, aqui se habla espanol. Builders’ Hardware has been in business for over 50 years and prides itself on being a very unique company within the hardware industry. We have two high-end showrooms in Seattle and Bellevue, Washington. We have a team for walk-throughs and installation, as well as keying services. We have the experience and flexibility to service any project. In this category you’ll find companies that source and provide everything you need to build your Seattle, WA home from the floor up, from timber flooring and synthetic grass to plumbing supplies and door hardware. Some companies will stock all kinds of hardware, while others will have areas of expertise. Raw materials and how they’re applied – including everything from metal roofing and timber panelling, to board-formed concrete and porcelain tiles – can provide infinite design possibilities. If you’re working with a Seattle, WA builder, architect or designer, they will likely have favourite building materials they like to work with, as well as favourite suppliers. Ask them for examples of how the material has been used in past projects, and seek out alternatives for comparisons. 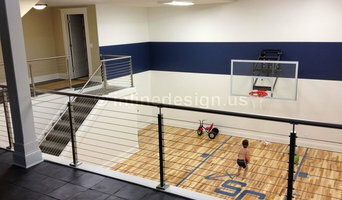 Find building supplies in Seattle, WA on Houzz. Scroll through this page to find companies that source and deliver building supplies in your area. You can browse their portfolio, read reviews and see how other tradesmen and homeowners rate their customer service, expertise and product.